Sometimes you connect with folk who have a knack for profound conversation that leaves you joyously speechless. Melanie Delva is one of those persons. 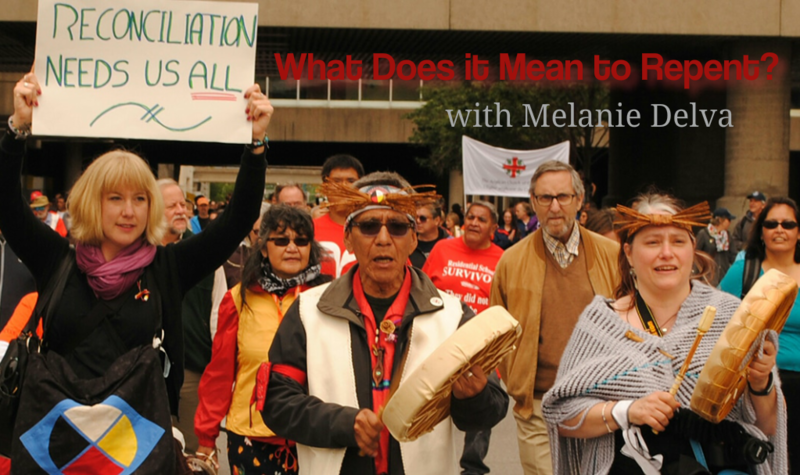 As the new Reconciliation Animator for the Anglican Church of Canada, Melanie Delva is charged with helping the Canadian Church dive deeper into the mystery of racial reconciliation. We’ve had some engaging conversations with guests on our podcast, but you have to hear what she said that left us without words! Like really…no words, just speechless and grateful for that silent space. I think it’s an episode that will move you in wonderful ways. It will trouble you. It will challenge you. It will convict you. And ultimately, it will invite you into the healing practice of racial reconciliation in a meaningful way. If you want to learn what it means to be a Racial Heretic and how you – personally – can engage the ministry of reconciliation in a deeper way, then you want to listen to this discussion. Then, we want to hear from you! How do you respond to this dialogue? How were you challenged? What particularly moved you?